Once dusty storehouses of antique patrimony, today museums are forced to re-imagine themselves for an age where culture is shared from smartphone to smartphone. Recent Still Water publications on reinventing museums for the 21st century are cropping up in anthologies like the International Handbook of Museum Studies and in interviews from The Library of Congress. In “Diffused Museums,” an essay for the International Handbook of Museum Studies, Still Water’s John Bell and Jon Ippolito survey the reaction in professional communities to recently introduced technologies that subvert curatorial gatekeepers. 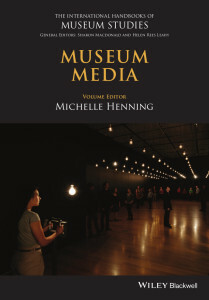 From the surge of independent venues for online exhibitions in the 1990s to the threat to curatorial control represented by augmented reality apps in the 2010s, museums have struggled to maintain a position of cultural dominance in the face of successive waves of de-centering technologies. This essay argues that museums should learn from rather than fear the alternative forms of participation suggested by game modding and 3d scanning communities. As artists have embraced a range of new media and forms in the last century as the work of collecting, conserving and exhibiting these works has become increasingly complex and challenging. In this space, Richard Rinehart and Jon Ippolito have been working to develop and understand approaches to ensure long-term access to digital works….The book offers an articulation of their variable media approach to thinking about works of art. I am excited to take this opportunity to explore the issues the book raises about digital art in particular and a perspective on digital preservation and social memory more broadly. 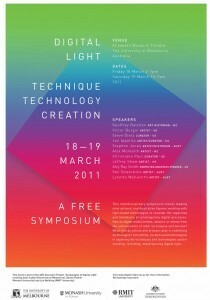 Digital Light, a 2015 anthology edited by Sean Cubitt, Daniel Palmer, and Nathaniel Tkacz, probes the ways the advent of new media has transformed light as medium and metaphor. Ippolito’s contribution, “The Panopticon Is Leaking,” asks what happens when we see more of the world through electronic networks than through our eyes. Also published recently is an interview with Ippolito by Alessandro Ludovico for Neural magazine. Past publications have also achieved recent acclaim. 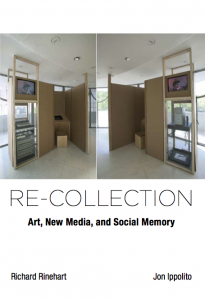 Re-collection made a list of the top three museum books of 2015 compiled by New York Historical Society’s Mark Schlemmer, while Ippolito’s article “Ten Myths of Internet Art” was included in the Leonardo Palmares as one of the top 25 downloads from this MIT Press magazine.